When it comes to Japan, anime and video games are basically joined at the hip. It’s hard to find an anime that wasn’t either spawned from a game, or made into a game. Of course, the word “game” is used a bit more loosely here – visual novels with minimal traditional “gameplay” are far more commonplace in Japan, and many of them are effectively just anime with still frames instead of animation. 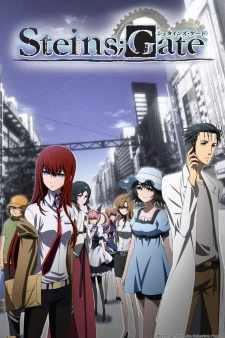 But for the sake of narrowing things down, we’re going to leave adapted visual novels, like Steins;Gate and Clannad, in their own category for now. Here, we’re going to focus on full-featured video games, which have earned themselves anime adaptations worth watching. Some of them are extremely faithful to the subject matter, some less so, but all are enjoyable in some way or another. This falls right on the line of visual novel and full video game. 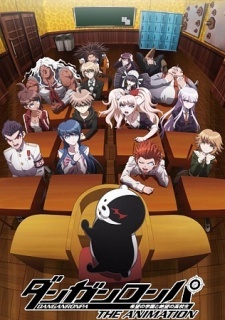 The majority of Danganronpa is reading and critical thinking, but the investigative portions and mini-games in the trial totally count as gameplay. The Danganronpa game is a masterwork of plot twists and high drama that unfolds beautifully over the course of a 25-hour story. The anime does the best it can to adapt that story to a 13-episode series, and it manages to hit all the major plot points without leaving anything behind. The only thing that suffers a little bit is the character development, which is one of the trademarks of the game. Each of the characters has a lot of personality, which you get from hanging out with them in game. Those side stories are cut from the anime, which leaves most of the cast feeling flat and without much personality. Still, it’s worth it just for the main story. In contrast to the 13-episode Danganronpa series, Persona 4 got a full 24-episode slate, as well as another series when Persona 4: Golden came out. Persona 4 is also a series with a strong story and better character development, and the extended run allowed them to really flesh out each character – even the side characters that don’t factor into the main plot get their day in the sun. If you’re a fan of Persona 4 as a series, you know they’ve stretched things out a bit further than they probably should have. But of all the spinoffs and side projects available in the franchise, this is easily one of the best, up there with the fighting games. 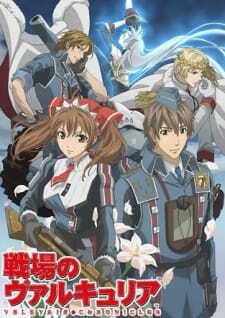 Valkyria Chronicles is one of the most underrated games in recent memory, and its anime adaptation does the best it can to give life to a very solid story. There are pros and cons to the anime’s presentation compared to the game. The game does a better job with the main story and the art style. The anime loses a step in the art style, which is a bit flat and off-model compared to the sketchbook style present in the game. But the anime does a better job of fleshing out secondary characters, who get very little screen time in the game. Outside of Japan, this anime is all there is. 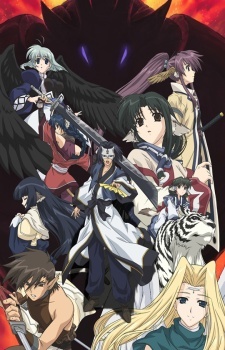 But in Japan, Utawarerumono started as a visual novel that had tactical strategy elements to it. It adapted very well to an anime that keeps both the harem elements of the game and the strategic, war management elements as well. This is one of the few anime here that is strong on its own merits, independent of its origin. 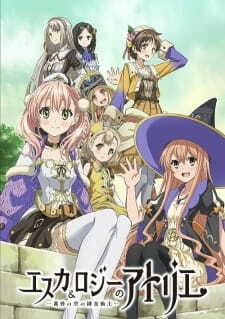 Based on a little-known but faithfully-followed franchise from Gust, Atelier Escha & Logy is about a pair of alchemists. The two of them are tasked with research that could potentially help save a dying world, and that research leads them to adventure across the world looking for special alchemy ingredients. The story is okay, but the characters are lovable.